You Are Here: Home » HR » Performance Management Systems – A Key to Ensure Business Results! What today’s cut-throat competition demands from an organization to be successful is attract potential candidates and retain key employees so that a strong, committed workforce can be built. So what is the secret to building this workforce – a workforce that empowers an organization to outperform the competition? During the last few decades, the role of human resource management has undergone a major upheaval. It has expanded its dimensions to assess its employees’ performance and manage it with a new system that has evolved with the times. This system is called the Performance Management System or PMS – a strategic tool and a powerful foundation for the employees to achieve their goals and the organization to achieve their key financial goals. As a result of this, when all other factors remain the same, competitive advantage in the form of a robust workforce has become crucial for an organization to gain the much-needed competitive edge. It is because of this reason that employee performance has become paramount. The effectiveness of PMS comes from the fact that it helps employees to know exactly what is expected of them and to let the Managers and Strategic Planners know that employees’ behaviors will be aligned with the organization’s goals. By understanding what type of output is expected of them and what fundamental roles they play in achieving the vision, mission, and strategy, the performance of the employee can be maximized. What’s more, with global recessions happening almost each and every year, continuously improving performance has become a major challenge for every organization. 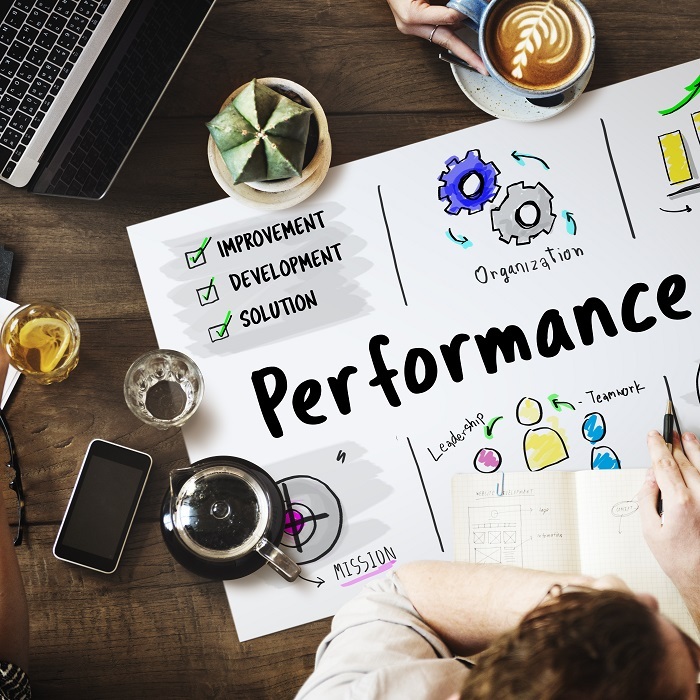 Earlier, companies used performance management to shape the behaviors of employees so that specific objectives could be achieved. But this rewards-driven approach had its flaws and was not sustainable in the face of liberalization and its after-effects. Gradually a shift happened in how PMS began to be perceived and implemented. Today, traditional organizations have also started becoming knowledge-intensive for technology-intensive manufacturing processes. PMS in most companies today are being used as a tool to promote the learning and development of the work environment. Since the 1980’s, organizational performance had become a challenge and every other company began to think about optimizing human resources to the maximum. In recent decades though, the process of managing people have evolved and become formalized and specialized. While the old appraisal methods have been inducted into the comprehensive process of management, performance management developments in recent years are talent management, management by objectives and continuous monitoring and review. A survey conducted by Hewitt Associates reinstates the fact that PMS can indeed have a substantial impact on the financial performance and productivity of a company. It has been proved that companies with performance programs have stronger stock market performance, higher stock value, and better cash flows than the ones without it. Simons (2000) states that a successful PMS can only be effectively designed when we consider human behavior and culture and incorporate both into its design. 1) Setting up objectives like organizational, individuals etc. A pay-for-performance compensation can be the key to retaining your top talent and driving organizational performance that exceeds all expectations. At its heart, pay-for-performance serves to align your employees’ ambitions with the objectives of the company, motivating and rewarding top performers and boosting underperformers to become assets of the organization. A first-rate performance management system is the key to creating an engaged and aligned workforce. By explaining properly both the individual and the team responsibilities in the form of Key Responsibility Areas (KRAs) as well as by creating an understanding of shared responsibilities, a good performance management system smoothen the progress and development of the employees. Many of the current organizations have identified this need and are spending quite a good amount of money to develop and implement an effective Performance Management System, in order to have that much-desired competitive edge in the world of cut-throat competition.